Here's a Christmas cartoon from the current issue of Reader's Digest. I won't be posting a cartoon for each day of advent this year (as I did last year and the year before) but I'll feature a few throughout the month. 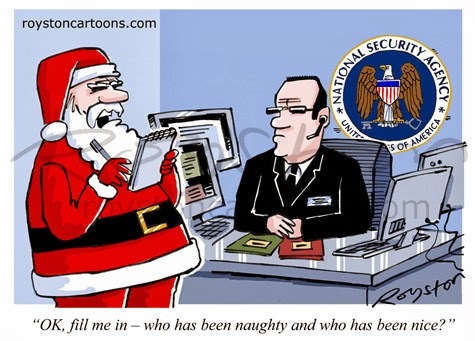 This is not the first time I've done a topical gag based on the "naughty and nice" idea. Or indeed the second! And it won't be the last either. It's the Christmas gift that keeps on giving. 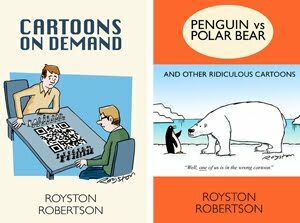 Royston's cartoon book: The perfect stocking filler!